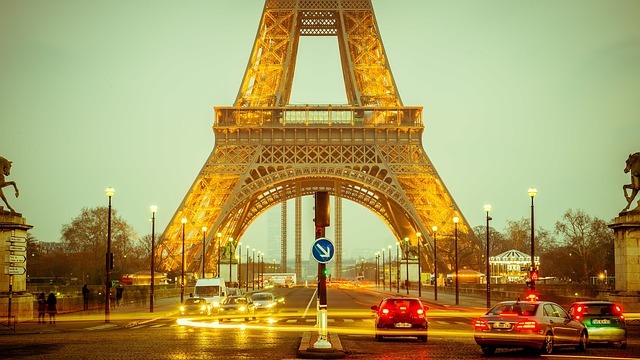 France, one of the biggest European countries, is a wonderful and varied vacation destination. France has plenty to offer, from skiing vacations over the winter months, to glorious beach vacations during the summer. It is also wonderful for romantic breaks away and cultural trips, as well as trips exploring its vast countryside. You can send your luggage and boxes to France with Send My Bag. If you are taking a short city break in one of France’s stunning cities, if you are working there for a year, or if you are moving there permanently, you can save yourself a lot of stress by sending your possessions with Send My Bag. This will make setting up home in France a whole lot easier. You can also enjoy your journey to your new destination, assured in the knowledge that your possessions are being looked after for you. Send My Bag has numerous international routes, with a great-value flat rate for each route up to a massive 66 lbs. This means that you can bring all your prized possessions with you to help you set up home abroad. To learn more about sending luggage to France, visit our ‘How it works’ page, or our ‘FAQs’. A packing list must state clearly ‘Personal Effects’. A customs inspection will take place upon shipment’s arrival in France. No duties or taxes are expected if customs officer deems shipment to consist of Personal Effects. A photocopy of the consignee’s passport will be required which can be uploaded in your Send My Bag account. As customs processes and allowances vary by country, we advise all travelers take 5 minutes to check how their personal circumstances and what they are sending will be assessed under the prevailing customs regulations of the destination. In order to demonstrate that your shipment consists of personal effects, you will be required to complete a brief non-generic packing list online, entries to be made in the format: "5 x Cotton Dresses, 2 x Jeans, 3 x Pair of Gloves", and so on, rather than as "10 x Used Clothing". The climate in France varies according to region. In the winter months in the Alps, the average temperature is 28° F, but on the south coast the average winter temperature is a much milder 48°F. In the summer the hottest areas are in the south. The Dordogne, for example, sees average summer temperatures of 84°F.